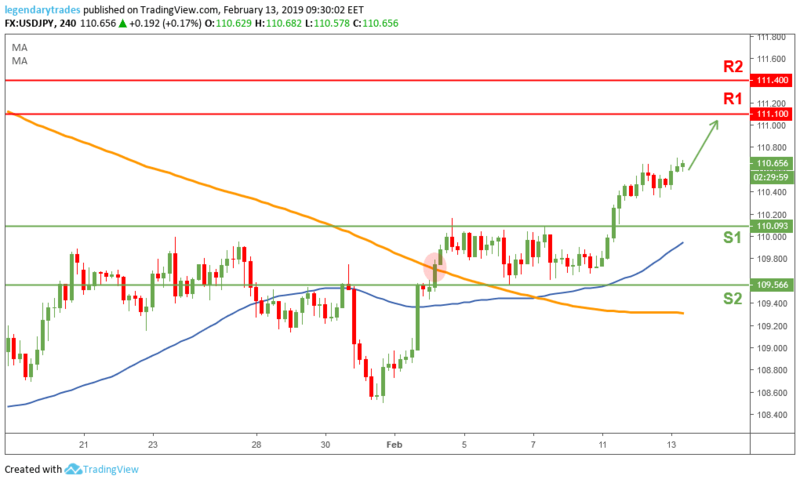 The USD/JPY pair benefits from the risk-on sentiment, as the equities were sharply up thanks to the positive political-related news. The Yen was also hurt by local data, as the Tertiary Industry Index was down by 0.3% vs being down 0.1% last month. More bad news for the Yen from this morning, Japan released PPI figures, monthly and yearly, which both missed the expectations; -0.6% vs -0.2% (MoM) and 0.6% vs 1.1% (YoY). Today investors will look to continue their risk-on sentiment in the equities which could be the main driver for this pair. The Dollar/Yen bulls will likely stay in control in today’s session as the journey towards 111.10 (R1) is still intact. This bullish momentum will remain undamaged if price stays above 110 (S1). If 111.10 is broken, then the next target for the bulls would be 111.40 (R2).